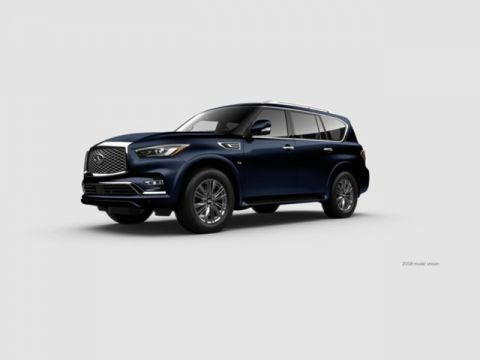 INFINITI QX80 LUXE - NAV - PRO-ASSIST - MOONROOF - LEATHER Certified. 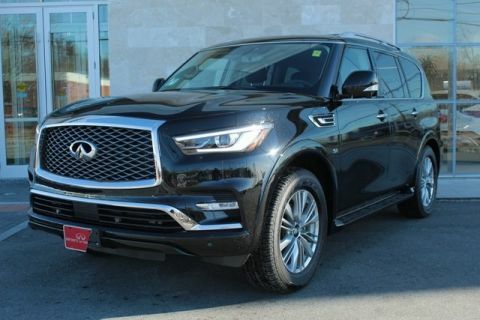 2019 Smoky Quartz 5.6L V8 CARFAX One-Owner. Clean CARFAX. 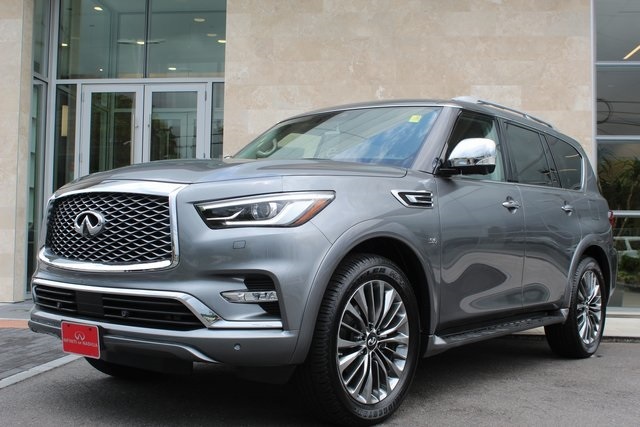 **ONLINE PRICING INCLUDES FINANCING THROUGH IFS AT STANDARD RATES**, *1 OWNER CLEAN CARFAX, **AWD**, NAVIGATION, **BLUETOOTH*** ***HANDS FREE***, ***MOONROOF***, **LEATHER SEATING**, **HEATED SEATS**, **HEATED STEERING WHEEL**, 6 YEAR UNLIMITED MILEAGE WARRANTY!! FREE MAINTENANCE! !, 13 Speakers, Air Conditioning, AM/FM radio: SiriusXM, Auto tilt-away steering wheel, Auto-dimming Rear-View mirror, Automatic temperature control, Backup Collision Intervention (BCI), Blind Spot Intervention (BSI), Blind Spot Warning, CD player, DVD-Audio, Front dual zone A/C, Intelligent Cruise Control (Full-Speed Range), Navigation system: INFINITI InTouch Navigation, ProASSIST Package, Radio data system, Radio: AM/FM/HD w/Single In-Dash CD/DVD Player & MP3, Rear air conditioning, Rear audio controls, Rear window defroster. 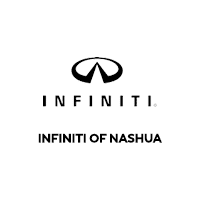 6 YEAR UNLIMITED MILEAGE WARRANTY!! FREE MAINTENANCE! !